Ive been noticing those as well. Theres one growing up against a food service building opposite the train station one by a viewing stand for one of the rhinos Indian, and one along the walking path at the elephant complex overlooking towards the duck pond. These are all taller specimens and as mentioned above, theres several new smaller ones planted between the elephant area and the boardwalk bordering the pond. I picked up several of its little brown seeds today 2-13-11, they are about an 1/8 and round, light brown, hard and lightly wrinkled. From what I read about its potential for being invasive, at least down south, they shouldnt be too hard to sprout. 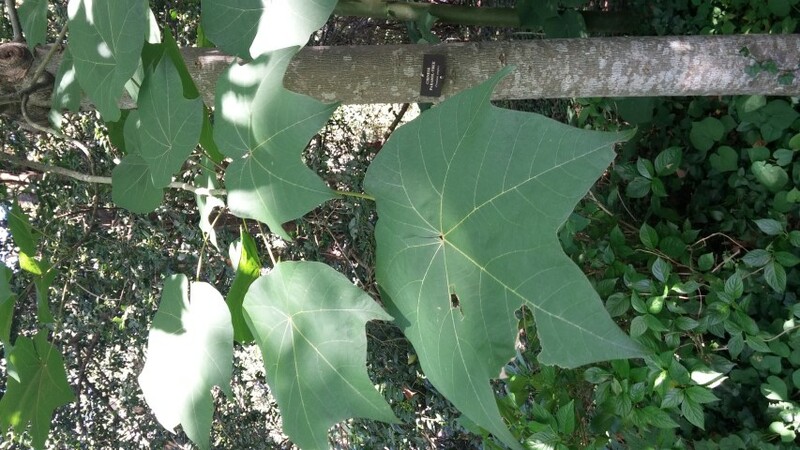 I also read thats only hardy to about a Z7, but these Cincy Zoo trees evidently have not been keeping current on those stats, so probably a tougher cultivar or just has inherent variability with some seedlings taking lower temps. But no, I havent seen them sold locally, just via websites.